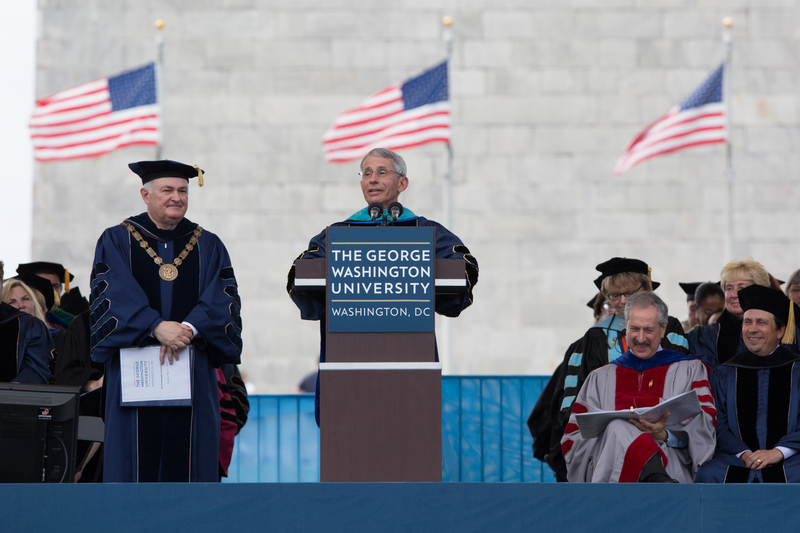 Mr. Cook, Anthony Fauci, Carole Watson awarded honorary degrees at GW 2015 Commencement. 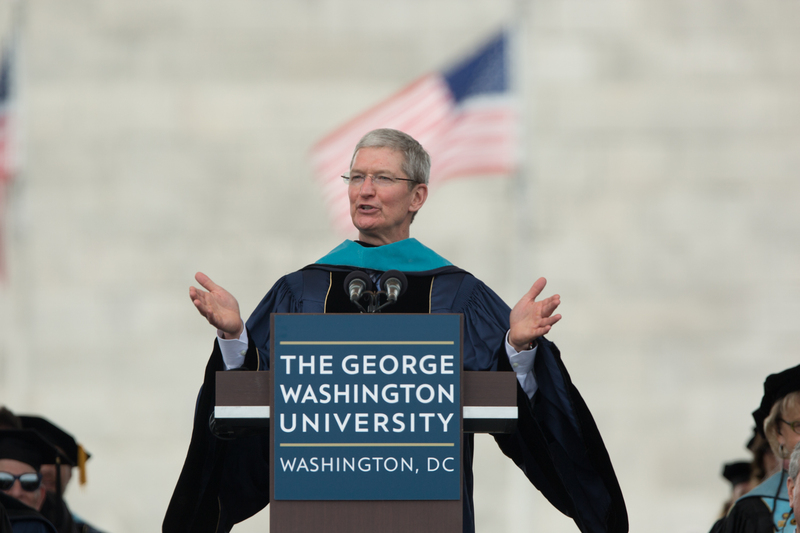 A broad smile broke across Tim Cook’s face as he finished his George Washington University Commencement address. Then, the Apple CEO extended his iPhone in front of his chest, camera lens facing out. 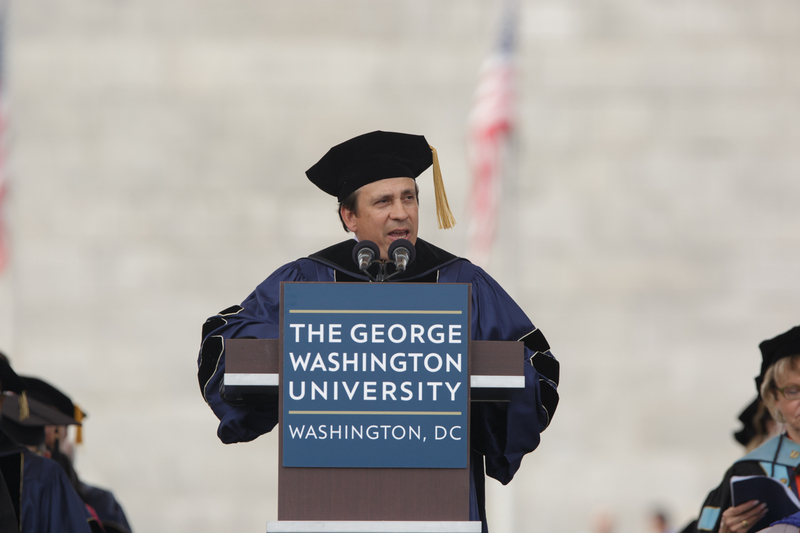 With ceremonial trimmings and thoughtful remarks from speakers, members of the GW community gathered on a warm and humid morning to celebrate the end of the university’s 194th academic year Sunday. 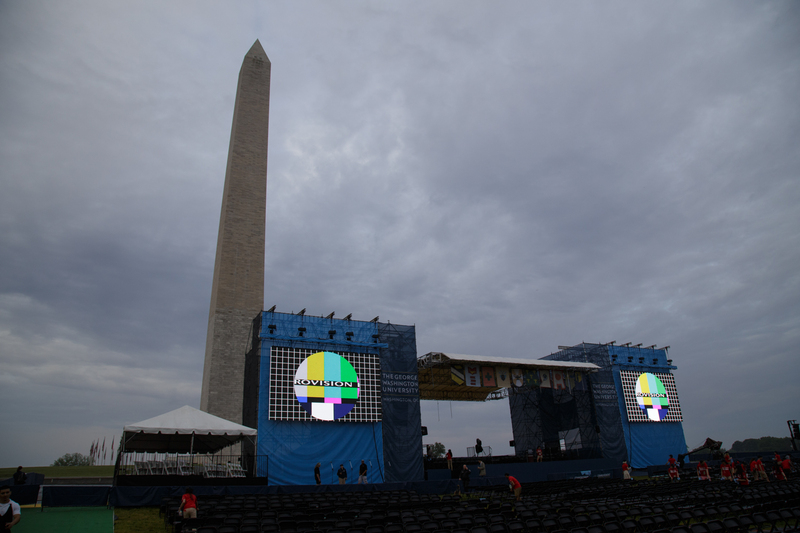 And with the Washington Monument at his back and an estimated 25,000 people in attendance, Mr. Cook, drawing on both personal anecdotes and historical figures—from Martin Luther King Jr. and Ronald Reagan to Amelia Earhart and Miles Davis—urged graduates to have the audacity to challenge, and the courage to combine their moral beliefs with their vocational aspirations. 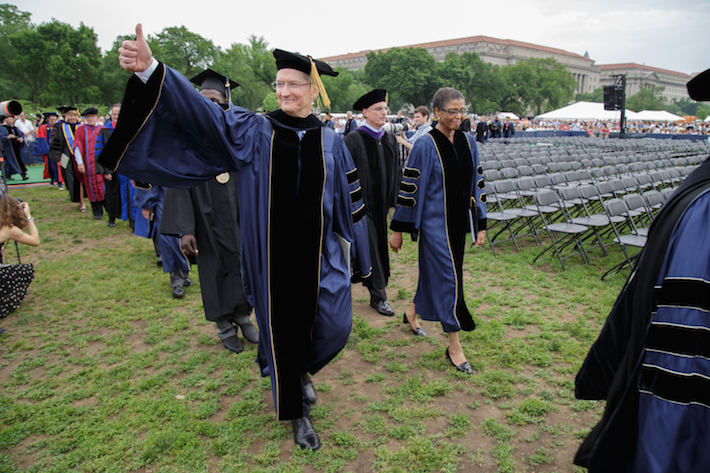 “There are problems that need to be solved, injustices that need to be ended, people that are still being persecuted, diseases still in need of cure,” said Mr. Cook, who received an honorary degree Sunday. “No matter what you do next, the world needs your energy, your passion, your impatience with progress. History rarely yields to one person, but think and never forget what happens when it does. Stories of personal conviction and a quest for knowledge populated Mr. Cook’s 20-minute speech. 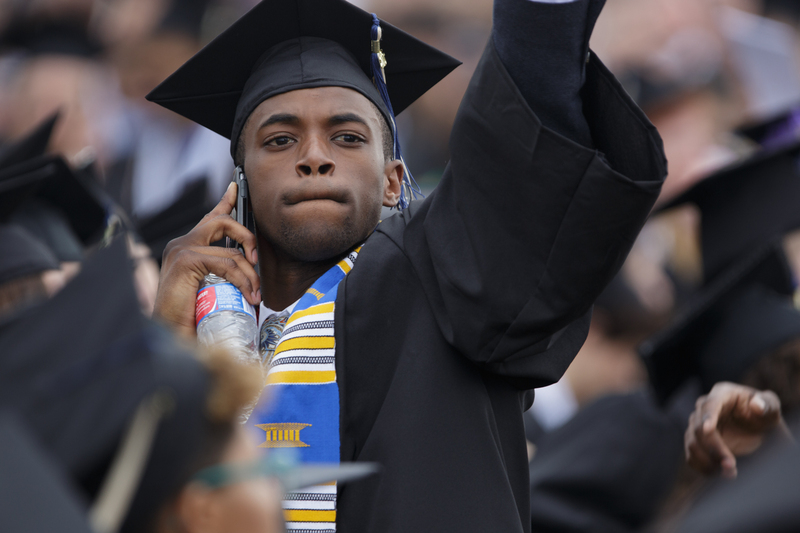 He quoted from Dr. King’s “Letter from a Birmingham Jail” and referenced Apple’s mission to equip consumers with the tools to connect the world. He recalled his first meetings with the late Steve Jobs in 1997, and how they changed his life. 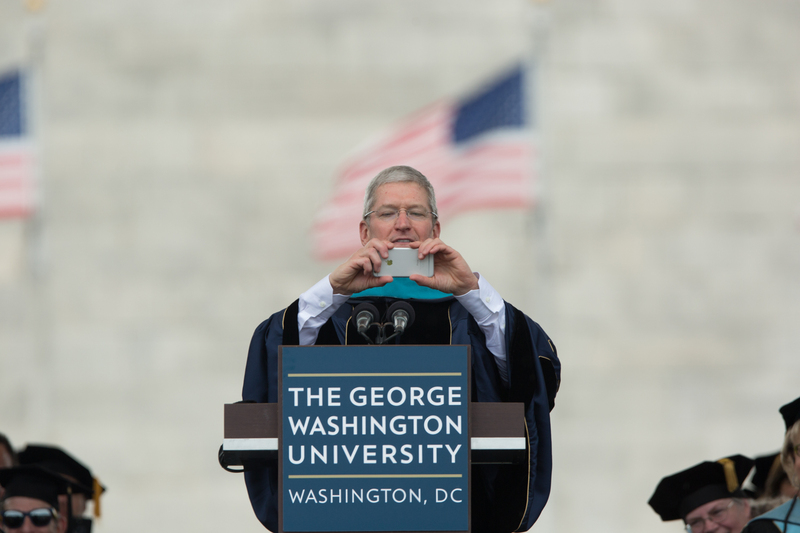 In a particularly powerful moment, Mr. Cook recalled his first trip to Washington in 1977. After winning an essay contest as a high school student in Alabama, he was given the opportunity to meet Gov. George Wallace and President Jimmy Carter. The two men, Mr. Cook said, were from the same political party and served as governors of neighboring states, and yet, to Mr. Cook, they were at opposing ends of the moral spectrum. 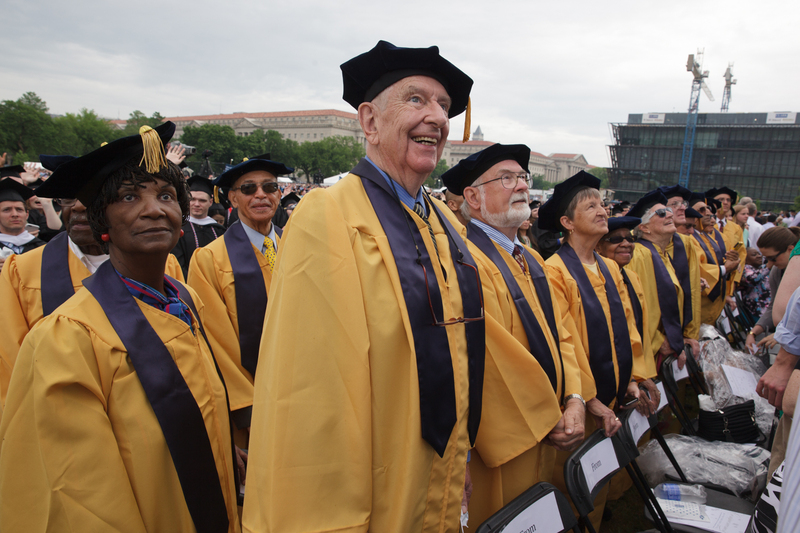 To Mr. Cook, who counted Dr. King and the late Robert F. Kennedy as his personal heroes, Gov. 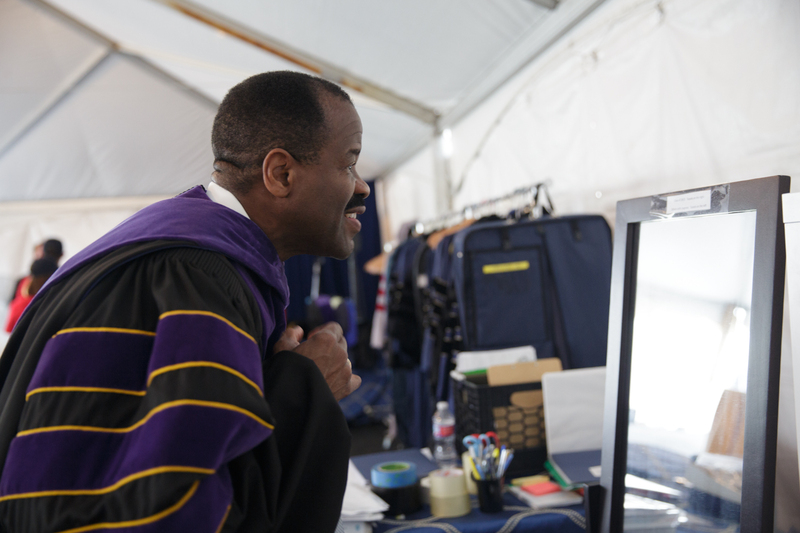 Wallace embraced the evils of segregation and exploited divisions between people. Mr. Cook’s sensibility gave him pause. 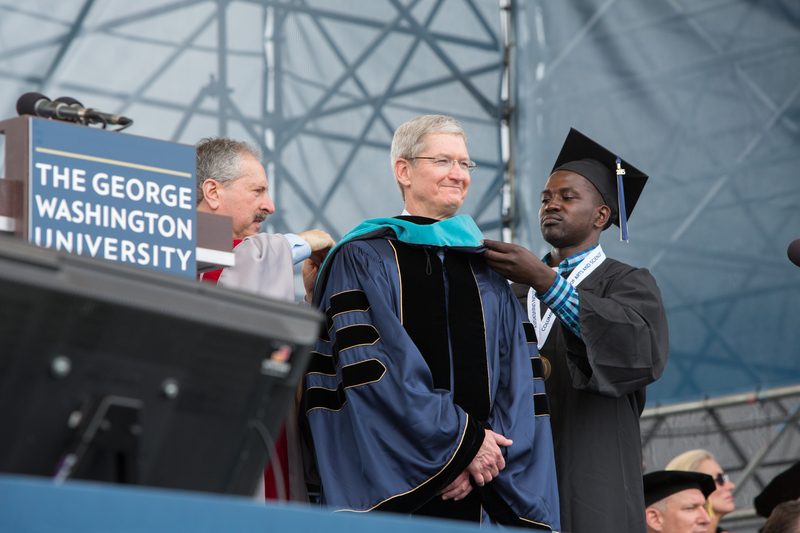 Today, Mr. Cook considers Apple a resource for global good, helping connect those who are isolated by distance or disability. 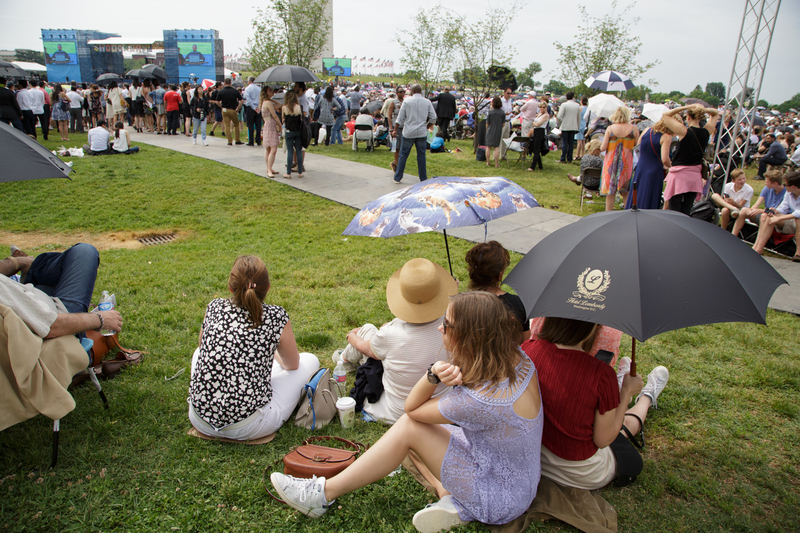 People who witness injustice and want to expose it can do so, he said to cheers from the crowd, because they have a camera in their pocket all the time. 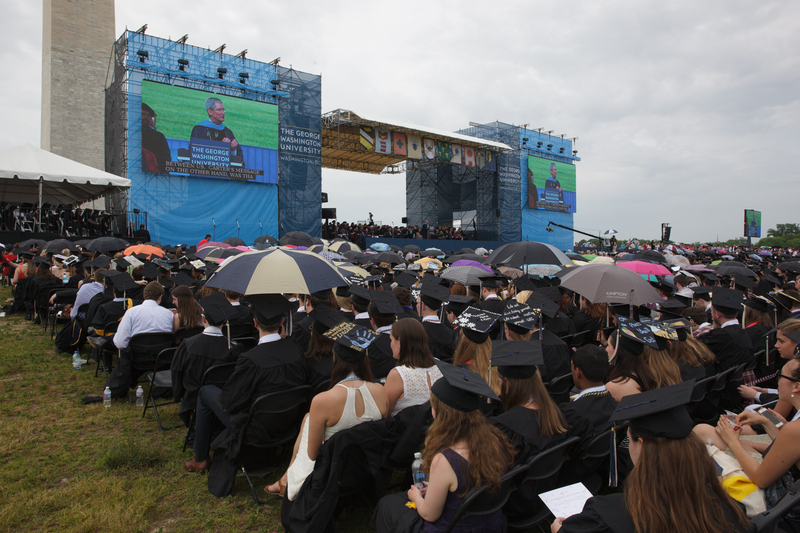 The world, he said, challenging the graduates, needs its next generation of citizen leaders to enter the arena. 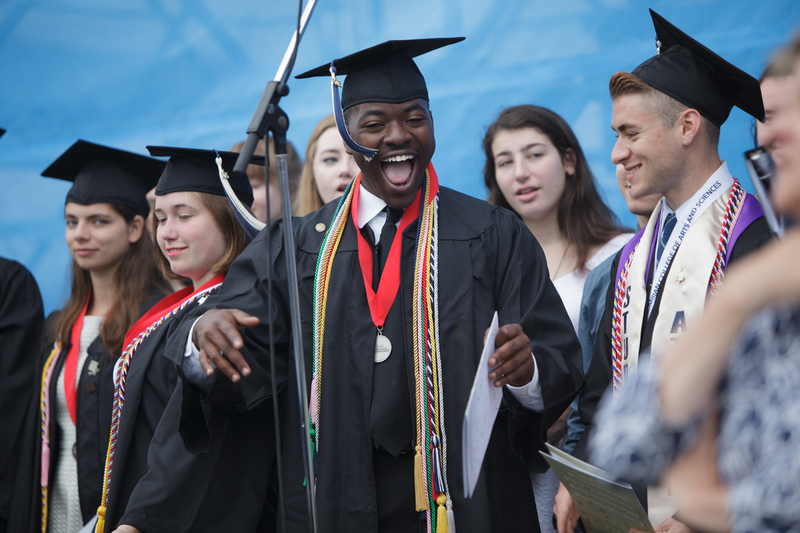 Imagination, effort, personal courage and lifelong learning were recurring themes throughout Sunday’s Commencement ceremony. 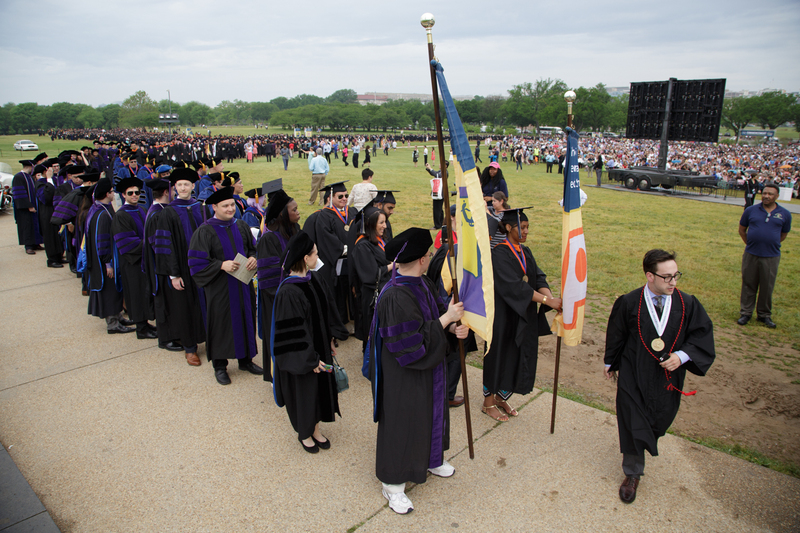 Congratulatory remarks preceded Mr. Cook’s address, provided by a host of speakers from the university administration, Board of Trustees and student body. 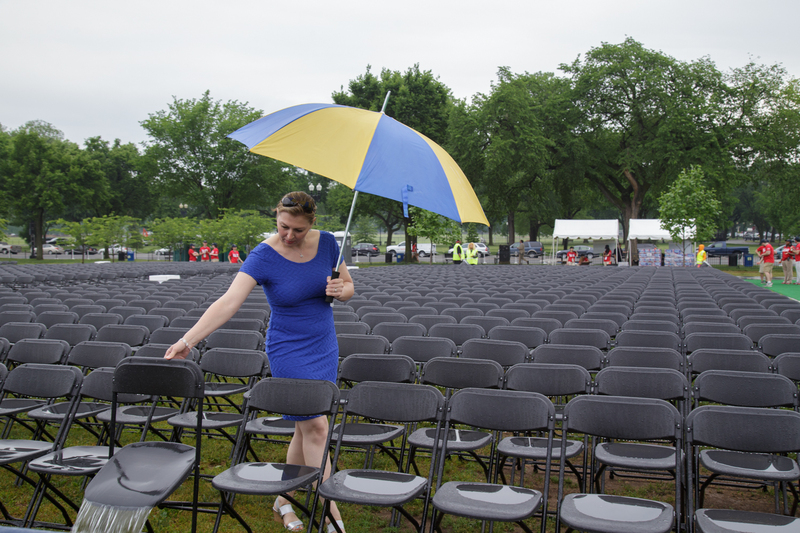 The morning’s rain had mostly faded by the beginning of the ceremony, when Provost Steven Lerman took to the stage to welcome attendees to the “one-of-a-kind” setting on the National Mall. 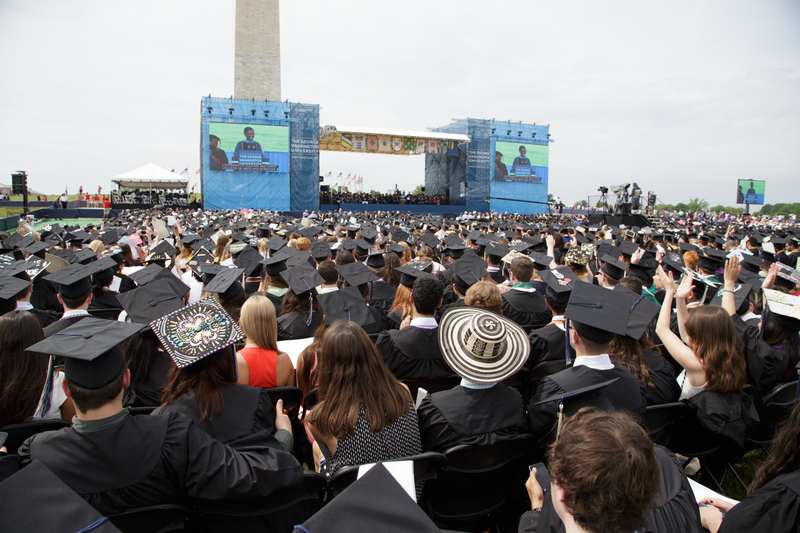 GW is the only university that holds its graduation ceremony on the Mall. 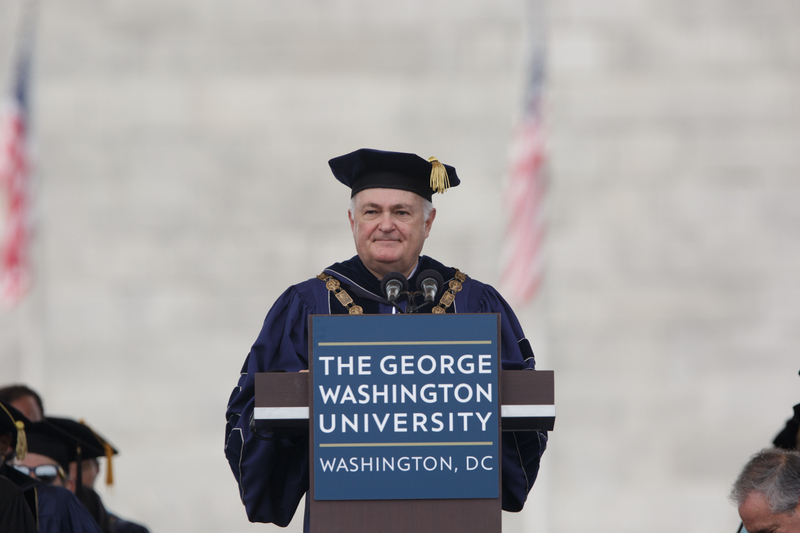 George Washington President Steven Knapp echoed Dr. Lerman, reminding the graduates that they would be the first class since 2011 to celebrate Commencement at the base of the Washington Monument uncovered with scaffolding. Repair work from the August 2011 earthquake finished in spring 2014. “When you help each other in this way, you can change people’s lives,” said Mr. Frenkil, B.A. ’74. 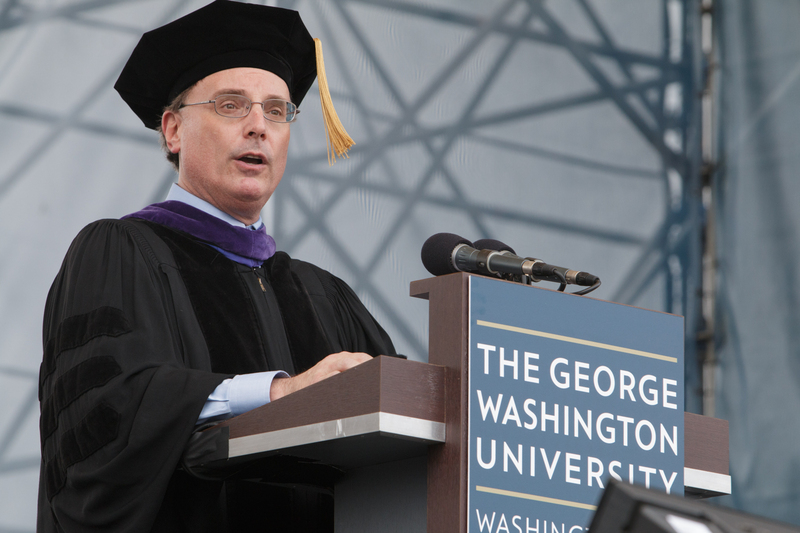 In keeping with tradition, Dr. Lerman also recognized this year’s recipients of the GW Awards, given to students, faculty and staff who have made extraordinary contributions to the GW community. 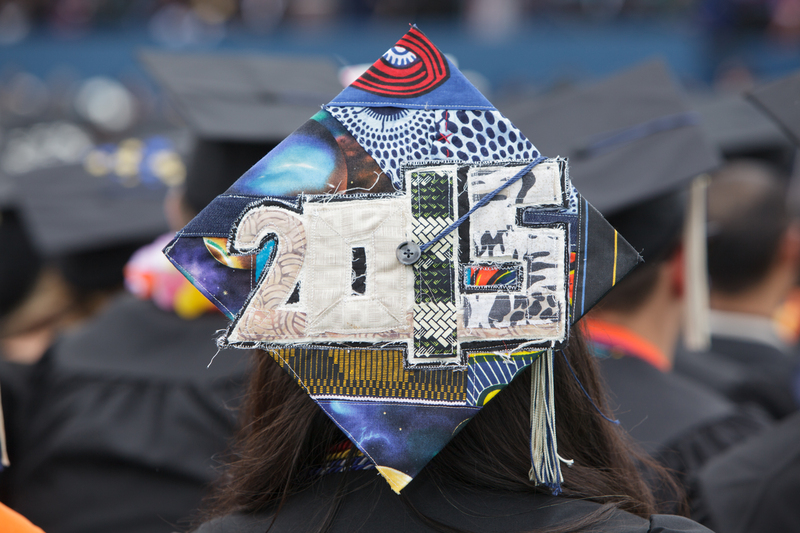 The winners included: Avra Bossov, a senior in the Columbian College of Arts and Sciences; Heidi Bardot, M.A. 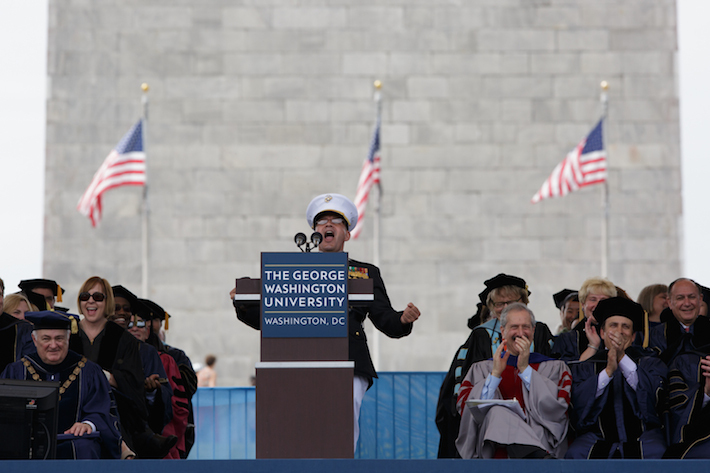 ’99, director of GW’s art therapy program; and Catherine Chandler, a University Honors Program director. Next, with the help of graduates Alyson Engle and Alexa Dectis, Dr. Knapp conferred honorary degrees to two recipients who have made lifelong contributions to medicine and the humanities: Anthony Fauci, director of the National Institute of Allergy and Infectious Diseases at the National Institutes of Health, and Carole M. Watson, Ph.D. ’78, former acting chairman of the National Endowment for the Humanities. 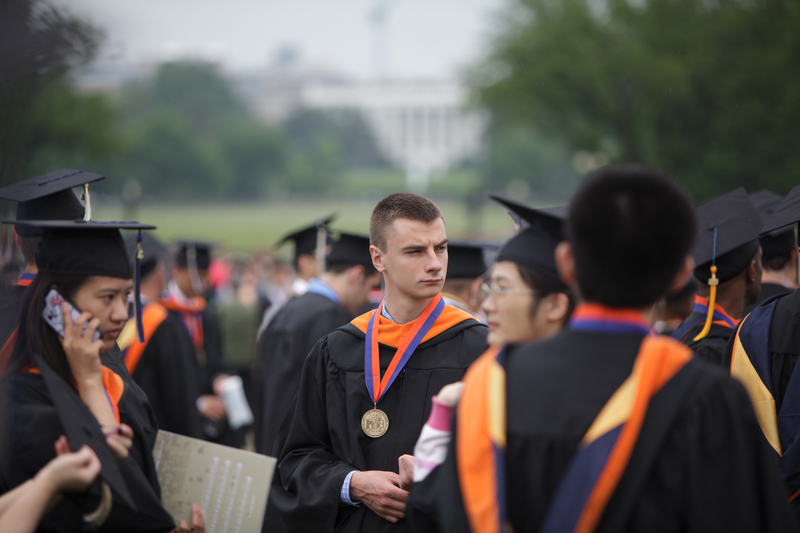 “I learned very quickly after completing my formal studies that we are all perpetual students and the mosaic of our knowledge and experiences is eternally unfinished,” he said. 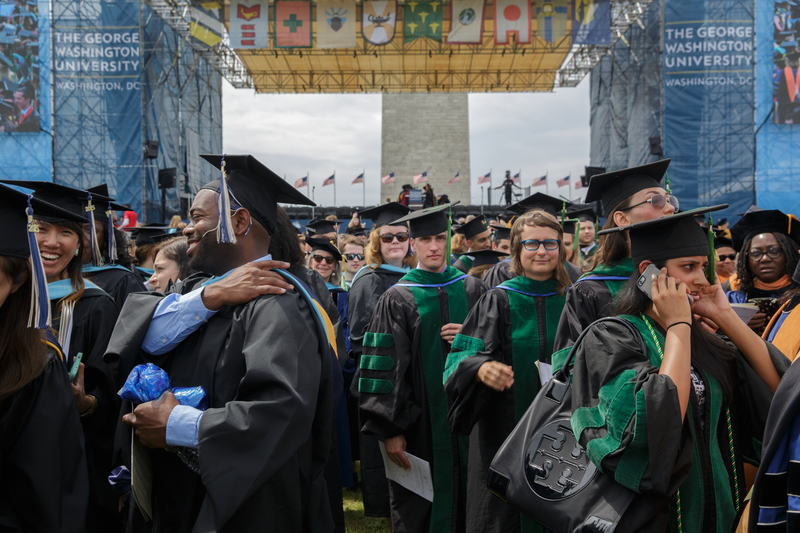 Dr. Fauci's commitment to saving lives never rests, Dr. Knapp noted. 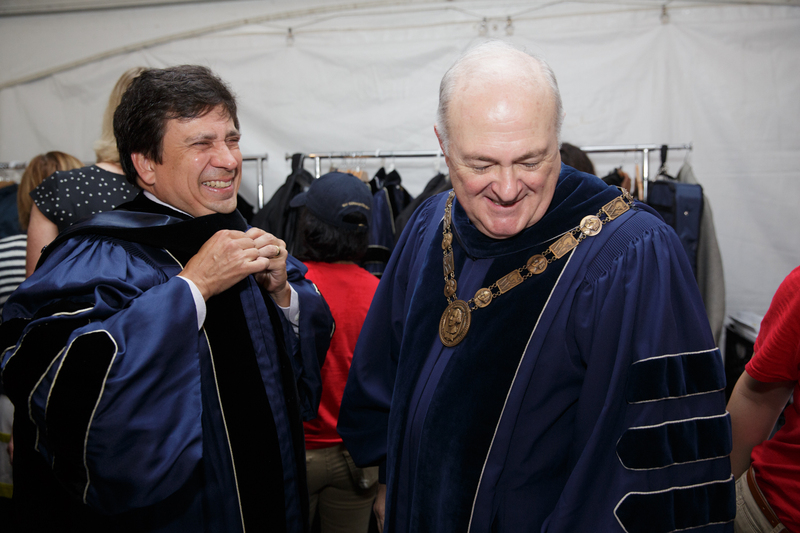 The esteemed AIDS researcher even performed the Heimlich maneuver on an attendee at a pre-commencement dinner Saturday. 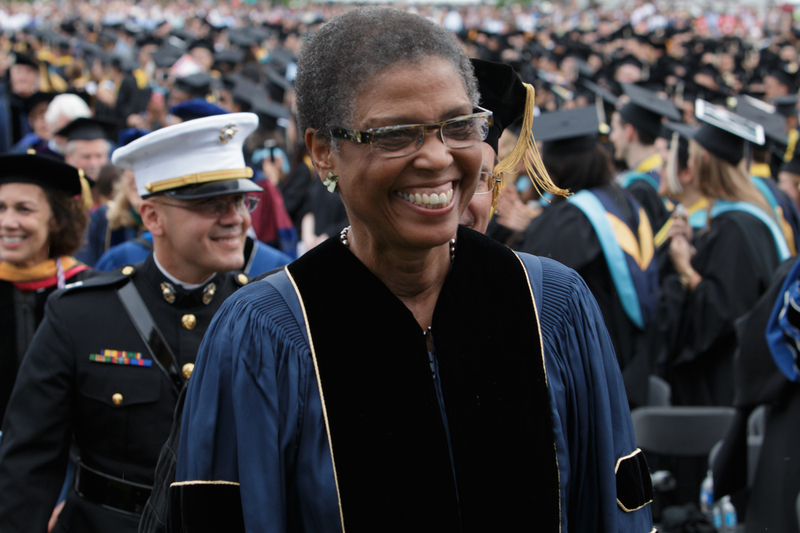 Dr. Watson, who earned a Ph.D. in American cultural history from GW, thanked the Columbian College of Arts and Sciences, which, she said, “profoundly affected” her life and career. 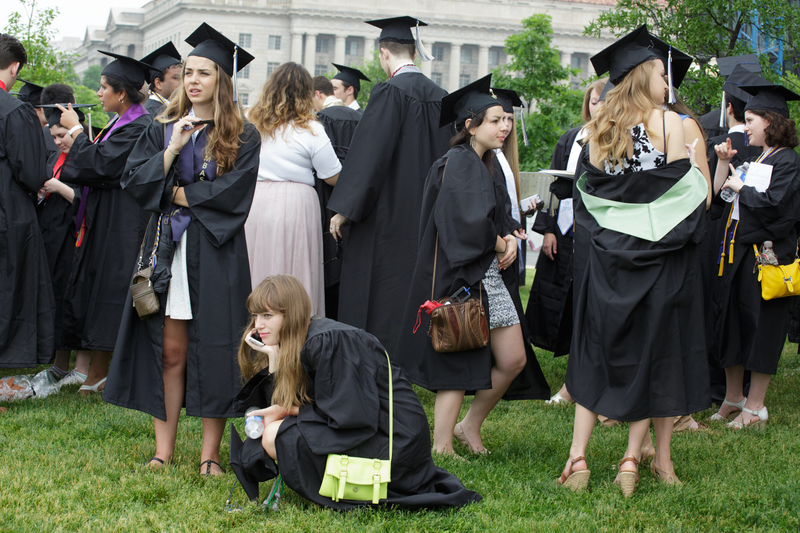 She warned graduates to stay away from cynicism and to strive for their highest ideals. 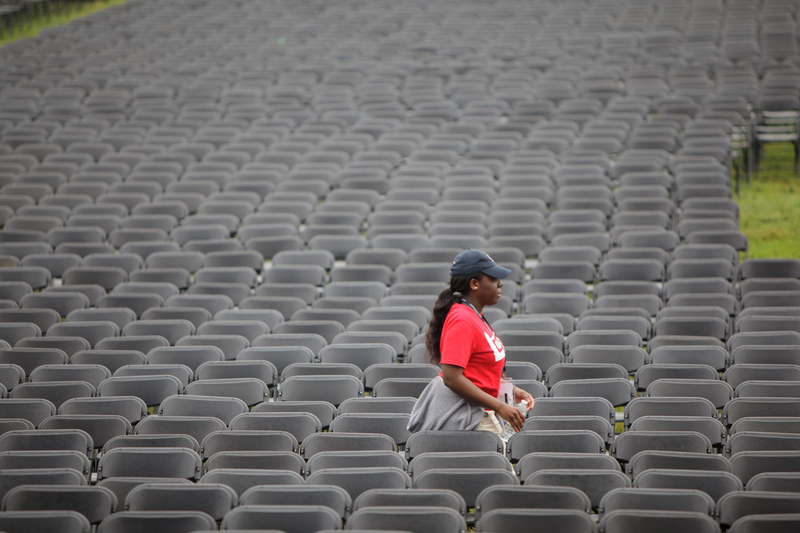 “My hope for you today is that, as you encounter your life’s inevitable challenges, you will keep reaching for your highest purpose in whatever way you may define it,” she said. 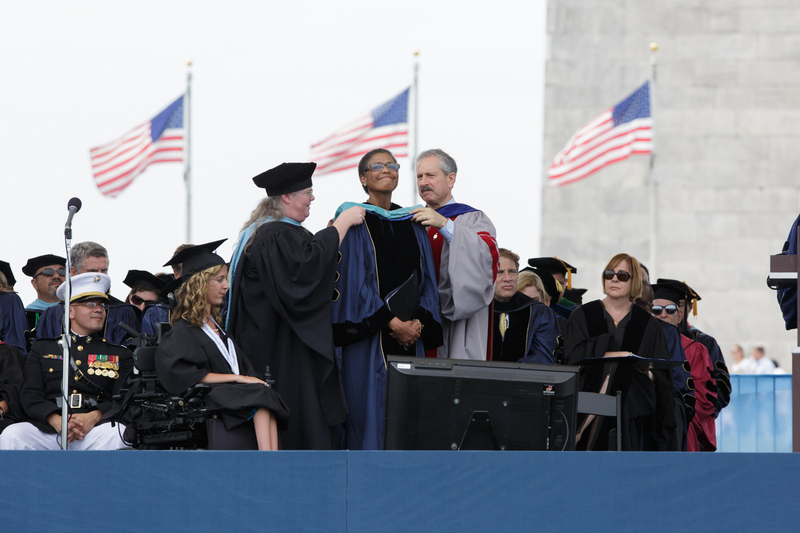 Mr. Cook’s address followed an inspiring speech from student speaker U.S. Marine Capt. Richard Ruiz about the power of envisioning the future. 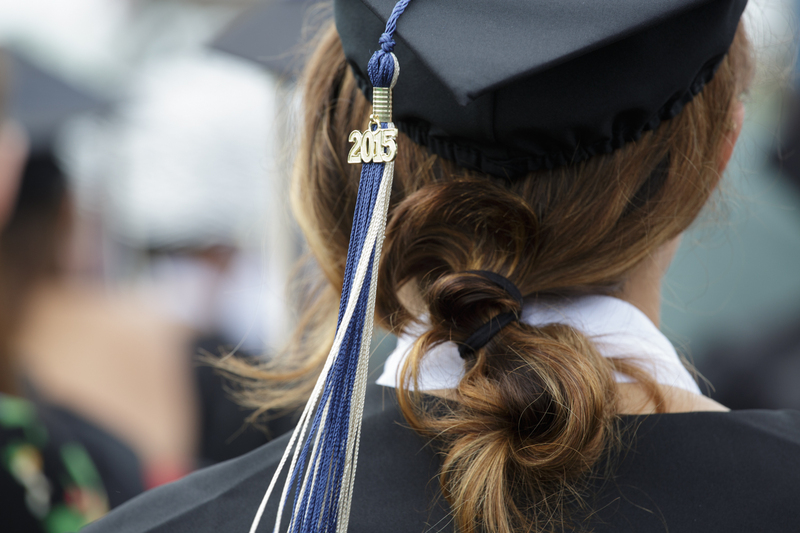 Mr. Ruiz—a graduate student who earned his master’s degree in leadership and education development—woke up at 4 a.m. to rehearse his words in his bedroom, he said in an interview before he went on stage. 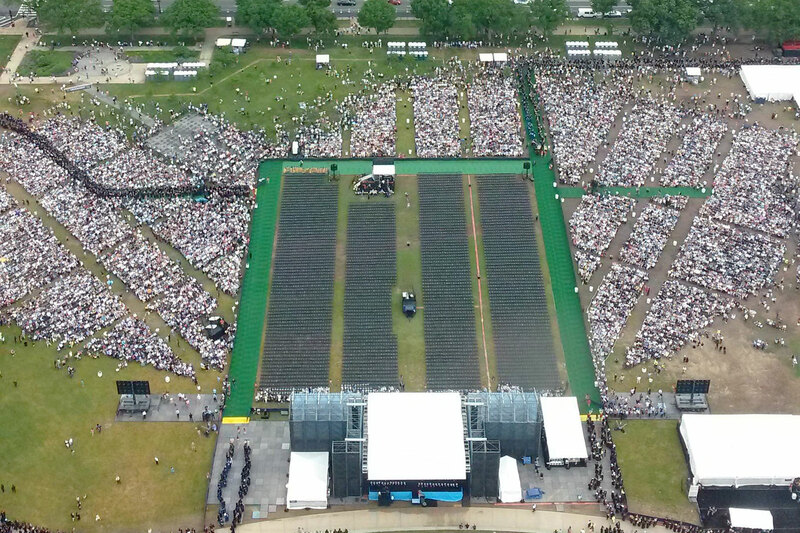 Upon looking out at the thousands of people seated on the mall, his opening words summed up his feelings: “O-M-G,” he shouted with enthusiasm to the cheers of the crowd. The son of Mexican immigrants, Mr. Ruiz said he struggled to learn English growing up and ended up repeating first grade. 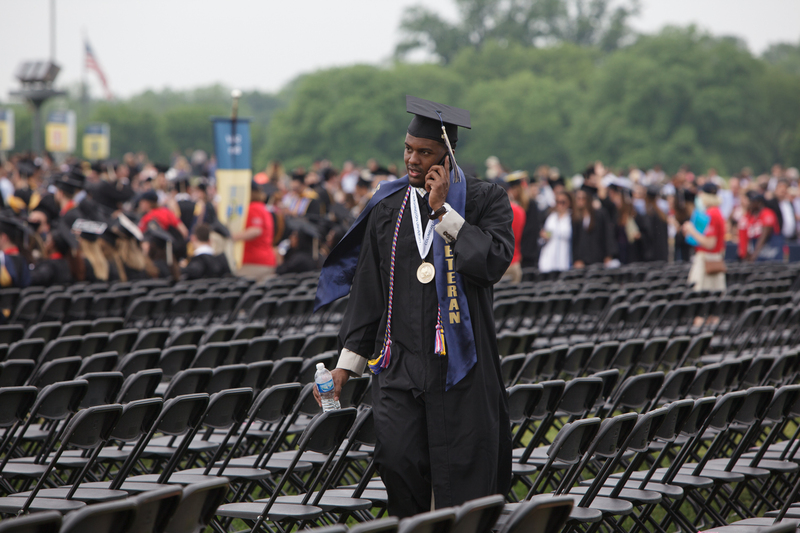 As a high school senior, he became a father and worked a midnight shift to provide for his son. 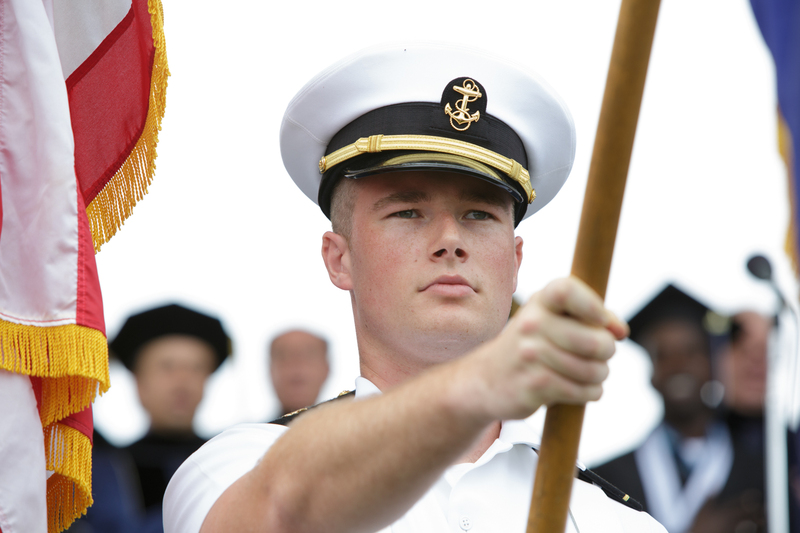 Eventually, he graduated and enlisted in the Marine Corps. 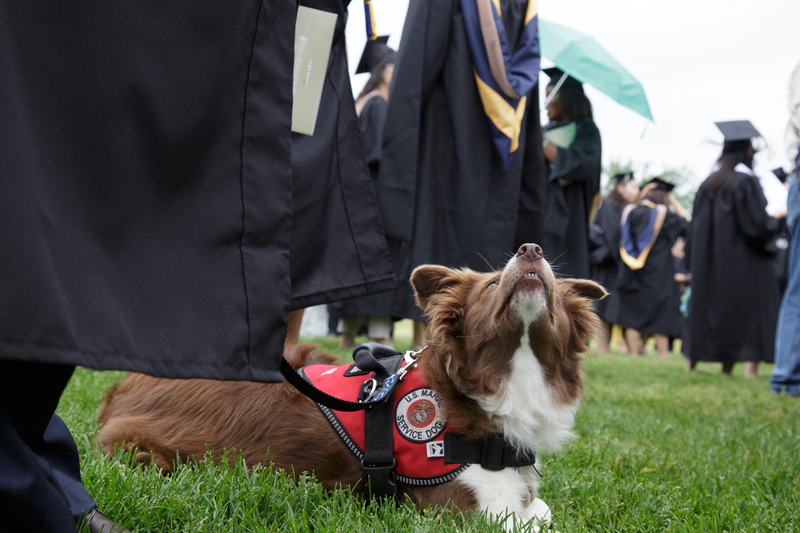 He then attended and graduated from Oregon State University, becoming the first person in his family to earn a college degree. He held leadership roles while deployed in Afghanistan and earned the Bronze Star Medal with Valor. 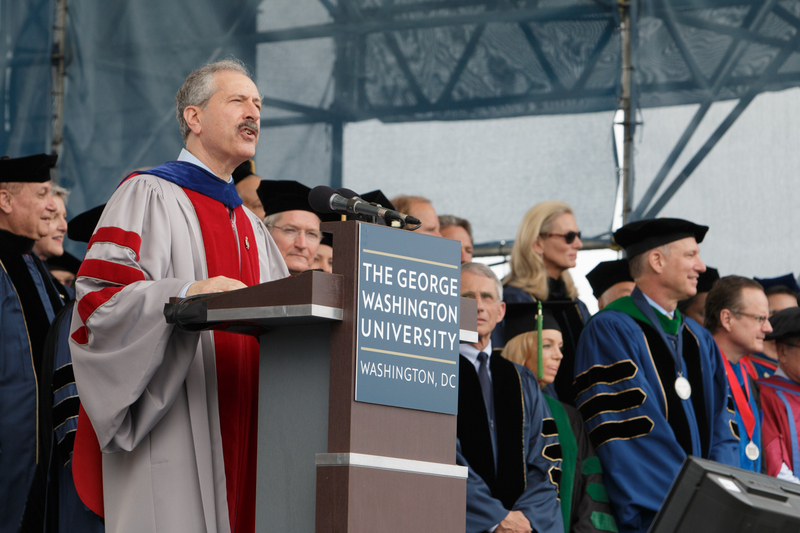 GW students, he said, reach their goals by imagining that they, too, can change the world. 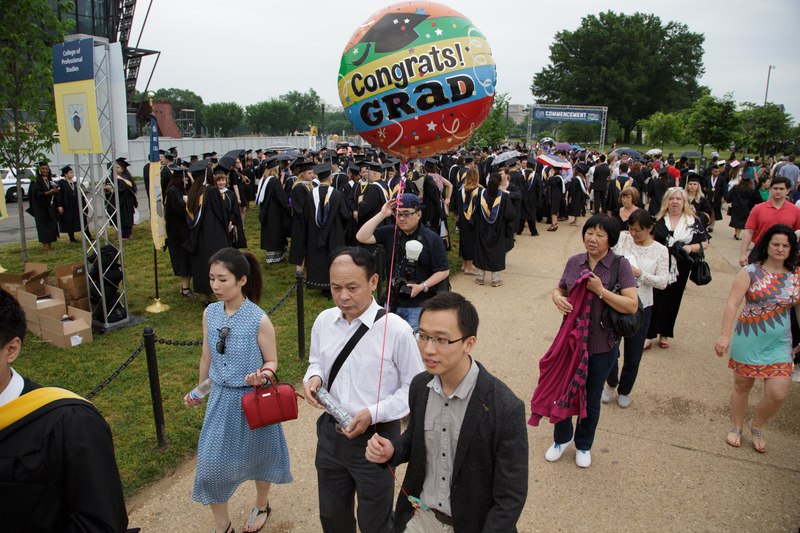 The university ceremony was one of more than a dozen events—including individual school celebrations, a doctoral hooding ceremony, senior class toast, Phi Beta Kappa induction and Interfaith Baccalaureate—held during GW’s Commencement week, May 12-17. 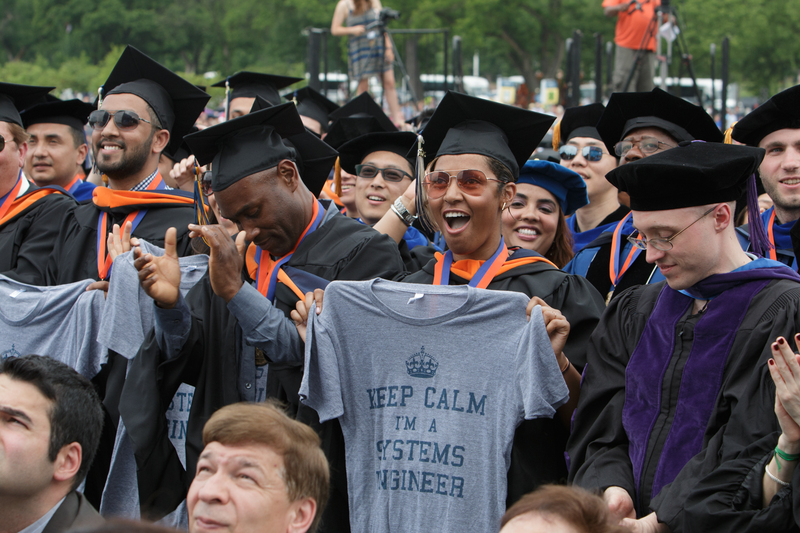 Before the crowd of graduates and their family and friends dispersed across the Mall, Dr. Knapp charged the Class of 2015 with a final challenge. 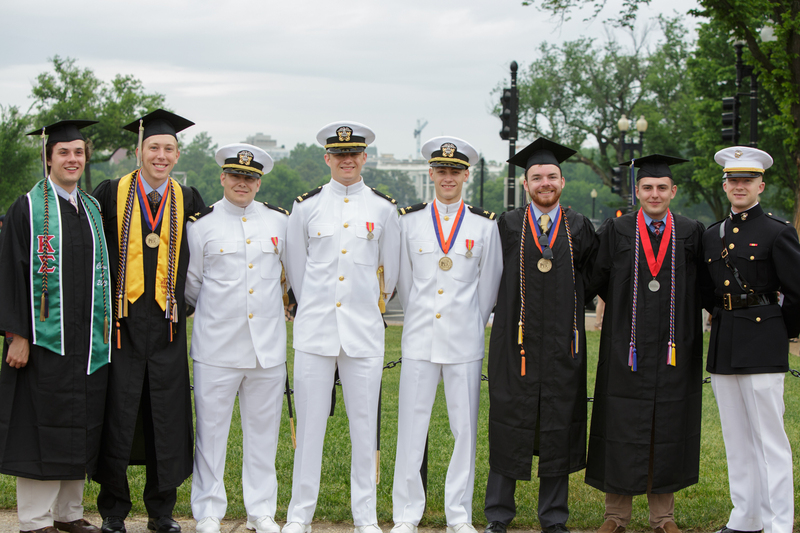 He asked them to keep alive their spirit, imagination, curiosity and commitment to service, as well as to “nourish the respect” for all persons, especially those with differing cultures, traditions and opinions from their own. 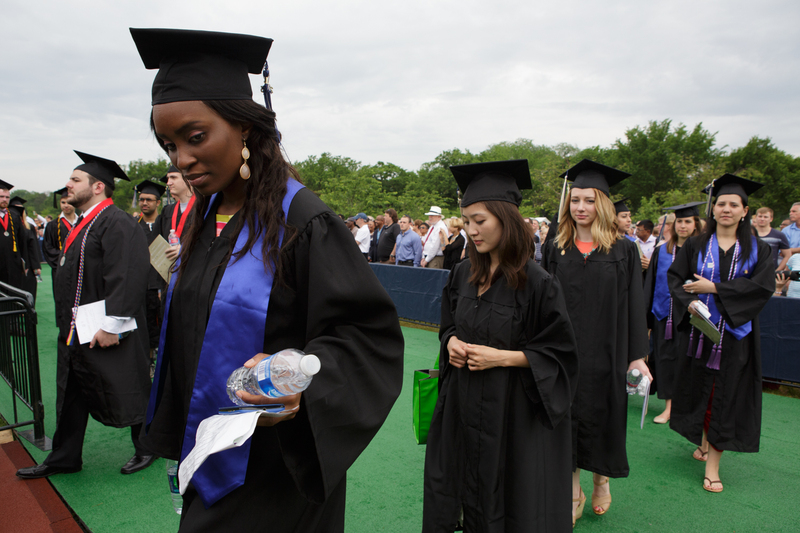 George Washington Today writers Brittney Dunkins and Ruth Steinhardt also contributed to this report. 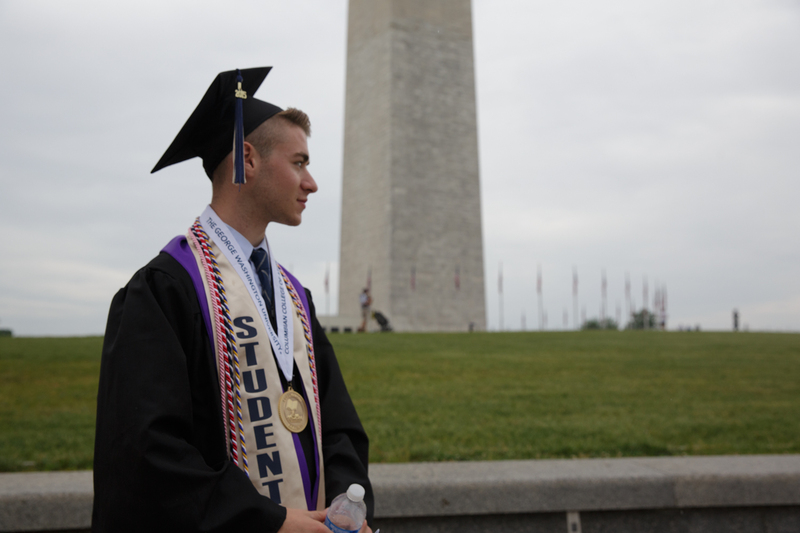 George Washington graduates embrace future in the shadow of the Washington Monument. 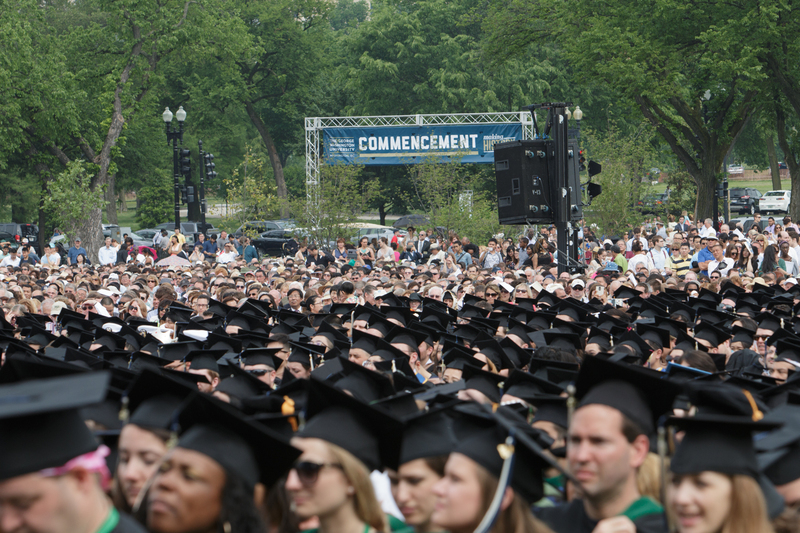 Check out the best of GW during Commencement weekend with these hidden-in-plain-view campus landmarks. 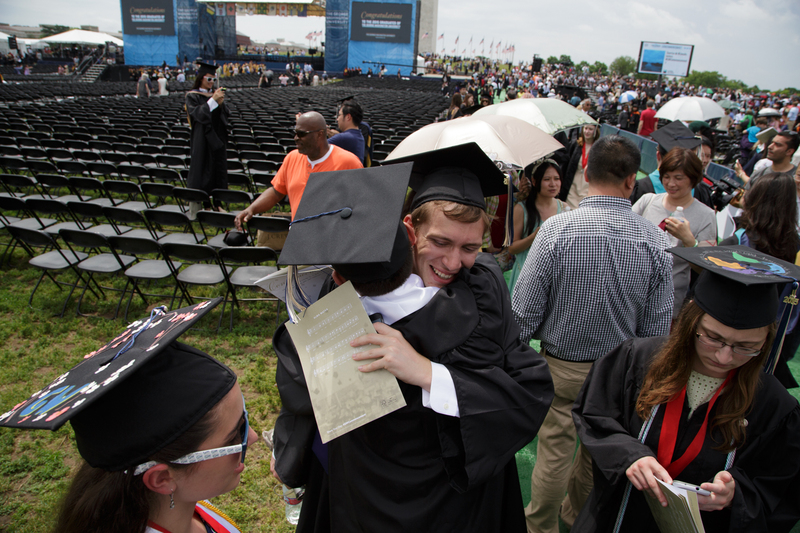 More than 60 percent of graduating seniors donate $128,000 to the George Washington University. 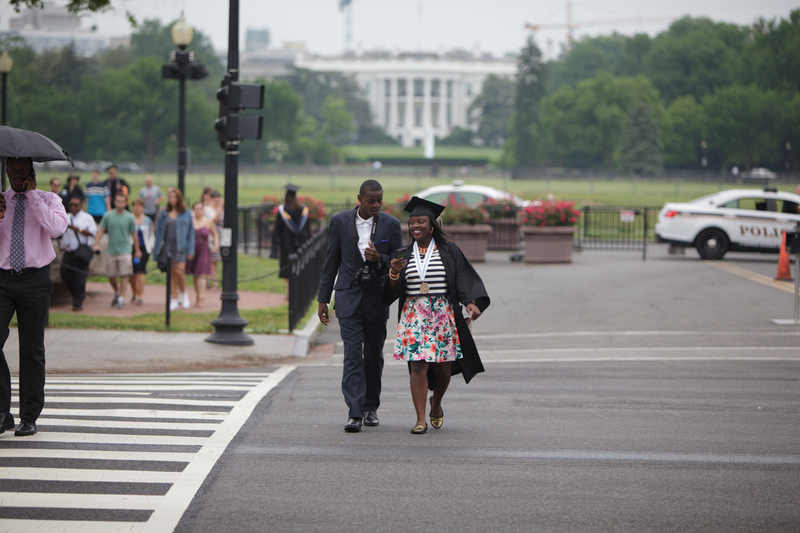 As they prepare for 2015 Commencement, soon-to-be GW graduates share their favorite college memories.